1. Weather Station: Blake, Rick and Ralph presented information re the new weather station which will be installed at the Farm the end of this month. This will provide soil temperature, humidity, moisture level and wind speed information wirelessly through a battery and solar powered system. The data will be available through Weather Underground for anyone to access. The funds for this were provided by Audubon. 2. Computer Programs and Software: Ron reported that the farm computer has quick books, excel, word, and adobe reader. The budget and financials, all accounting is organized on quick books, the plot map is newly maintained on excel which will keep current who is farming and on which plots. The information is backed up frequently. The Dillards have spent hours searching through information to organize all of this on the farm’s computer. Software currently used by the Farm is Word Press to maintain the farm’s website, Civi CRM and Drupal which are used to maintain membership lists, event planning and payment, mailings etc. This software has multiple uses that are not currently being used and it was decided that Dillards, Caldwell and Cunningham will meet to explore these options further. Rick will also create a spreadsheet with the farmer’s information for Ron to use for plot renewal purposes. Currently Rick, Blake and Monica are authorized to use CiviCRM but new access will be determined and who is doing what decided. 3. Budget and Bank Accounts: Ron will review budgets of past 5 years to determine a proposed budget for 2018. A motion was made to reduce dollars in the checking account and to establish two savings accounts, an asset replacement account and the other a savings account to provide a more interest positive method for our monies. Dillard proposed, motion seconded by Kahn, motion carried. 4. Plot rentals renewals are being e-mailed as of now and will be in the future. Motion was made by Hughes to stipulate that all farmers put in two volunteer hours per 6 month period at the farm. Discussion followed. Dillard seconded, motion carried. Monica will send blast when renewal forms and new farmer forms are edited to reflect this. Also blast that rental renewals will be sent by e-mail. 5. New Forms for use at the Farm to better organize information were created by Ron: accounts payable disbursement voucher, invoice receipt form, plot rental form. He also had a draft 2018 annual budget and a balance sheet that he had put together using the information he received from Bob Rogers. 5. History: Our new president needs to get the historical information and documents from Cathy. Next meeting set for Wednesday, November 14th at 5:00 pm at the Club board room. a) L Dillard was officially installed as new treasurer for the farm with a motion by J Kollmann, seconded, C Adler. b) M Kahn was officially installed as President of the farm board with a motion by M Hughes and seconded by J Kollmann. 4) Pathways are in need of new pine straw, a cost of around $500 approved per the Board. A work party will be scheduled for mid to late October for distribution on the pathways. 6) Signs will be obtained by R Hinz for fence line reminding farmers not to throw debris over the fence. It gets caught on the electric fence wire causing it to short out. 7) Tractor needs repair, new seat has been installed, and fuel pump is on order reported by R Hinz. 8) Need to update Data Base and Farm Map. C Adler to email R Cunningham and B to meet with the Board to accomplish this. Next meeting, 10/10, 5pm @ the board room at club offices. 1) Festival setup details complete, work party for table/chair setup and flower arranging set for 10:00 Sunday morning. Monica will send blast to farmers. 2) Farm purchases, per Ralph: new waterproof controller box needed for electric fence controller. Also a tool for determining where the breech is in electric fence. This tool will streamline the process. Both purchases run around $100 each and Board approval received. 3) Blueberry bushes: has been noted that several farmers have blueberry bushes in their plots.. will monitor growth, placement and potential effect on surrounding plots. 6) Overhead irrigation: noted that some farmers have dry areas in plots. Discussion notes that sprinkler heads were for turf irrigation and therefore not the ideal head for plots. Farmers need to monitor especially with new plantings. 7) Annual Meeting to be held 6/13 at 5:00 PM at the farm. Monica will send notice blast to farmers. Financial Report per B Rogers: plot renewals continue to be posted. Bob will gather information for the approval of the budget for our April Board meeting. 2. Eight new farmers have signed on since the first of the year. Plans to enclose a few more plots with lumber discussed. 3. All irrigation controllers on raised beds reinstalled after frosty weather has passed. Several replaced and repairs done as needed. Discussion ensued about how to go forward with maintenance of the controllers on the raised beds, ie farmer responsible or Ralph to maintain for a fee. 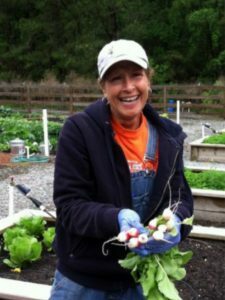 Cathy will draft a letter to all raised bed farmers to be sent after Board approval. 5. Work party at the farm set for April 7, Monica will blast as time gets closer.